40% of small business owners were still using manual processes to conduct their bookkeeping. QuickBooks wanted to change that. To inform notoriously overworked small business owners that they could enhance their work-life balance by switching from a manual accounting process to QuickBooks accounting software. 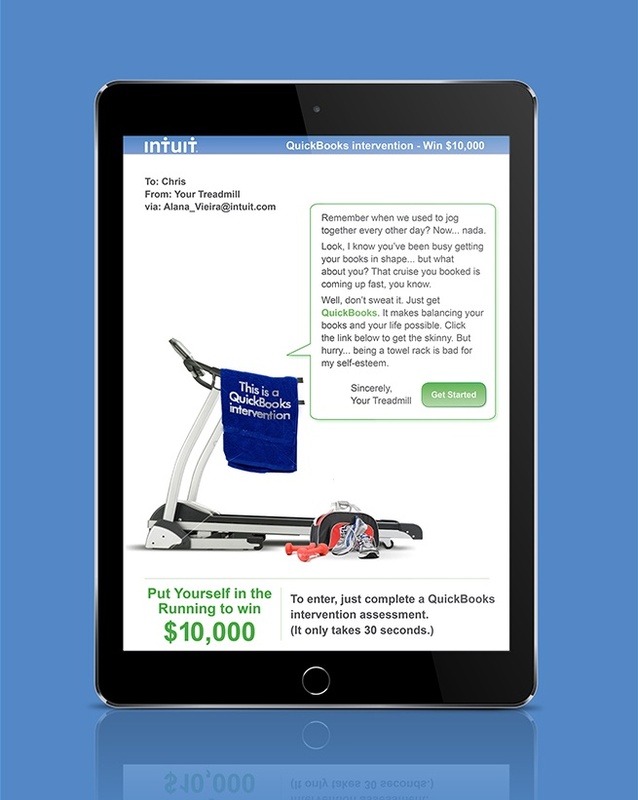 GET LIFT developed the QuickBooks “intervention” campaign. The campaign targeted the influencers of small business owners (i.e. family, colleagues and friends) and encouraged them to recommend a QuickBooks accounting software intervention. The campaign more than doubled the trial of QuickBooks accounting software. 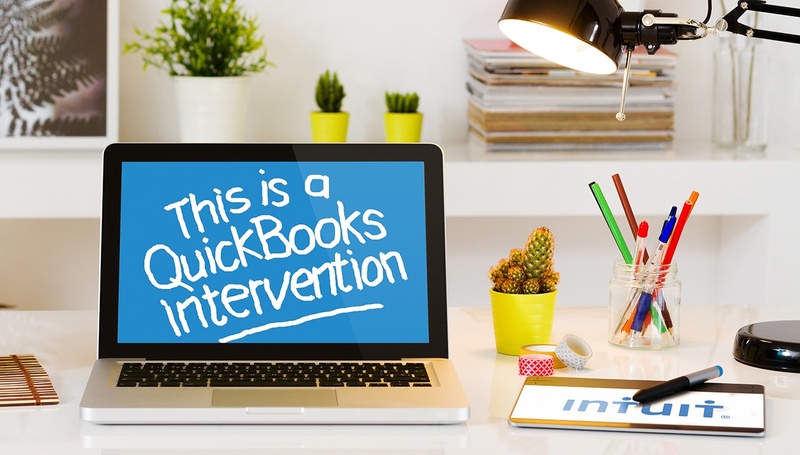 Once influencers reached the QuickBooks intervention website, they were asked to provide key information about their small business owner nominee and fill out an online form. The incentive: the chance to win $20,000. 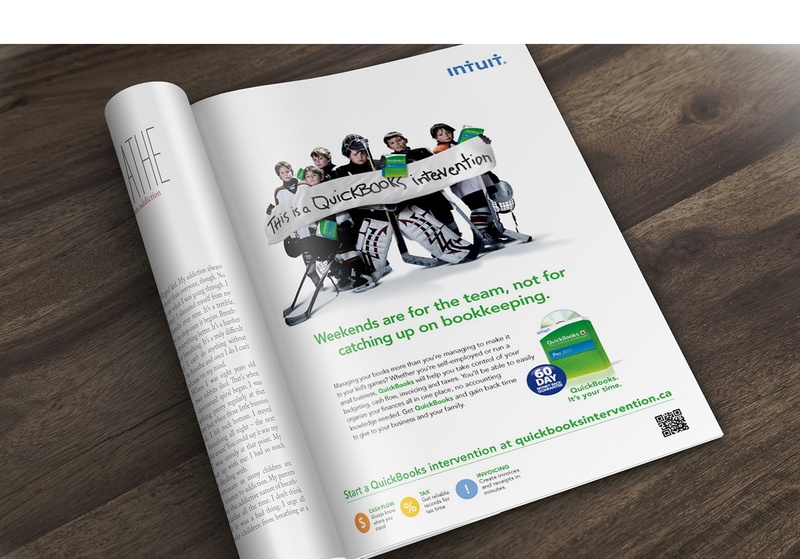 After completing the form on the website, influencers sent an email to the small business owner of their choice, encouraging them to give QuickBooks a try. 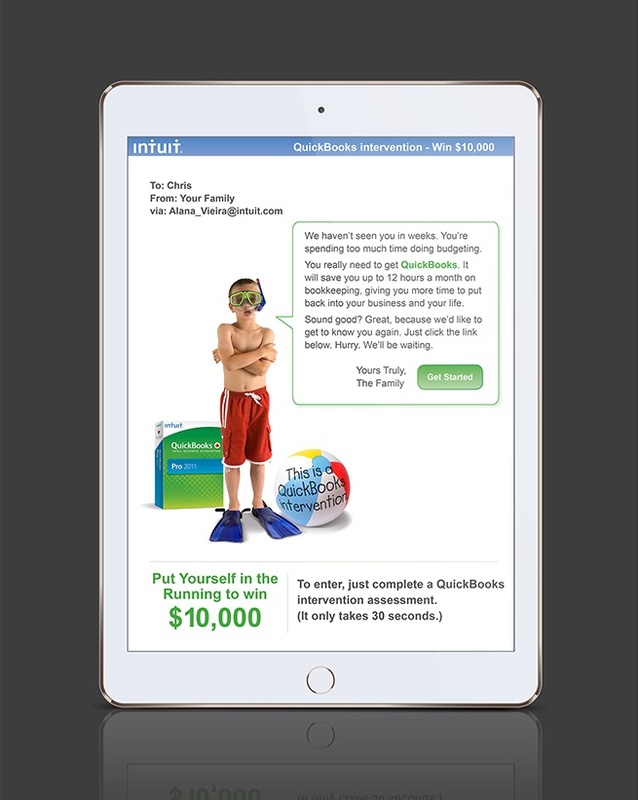 Upon receiving the email, the small business owner could click on a link to a landing page where they could learn more about QuickBooks and request a trial copy. They could even nominate another small business owner if they wished. Full-page print ads and digital banner ads ran in small business and consumer publications and websites, highlighting some of the ways manual bookkeeping can rob a small business owners of their precious time. 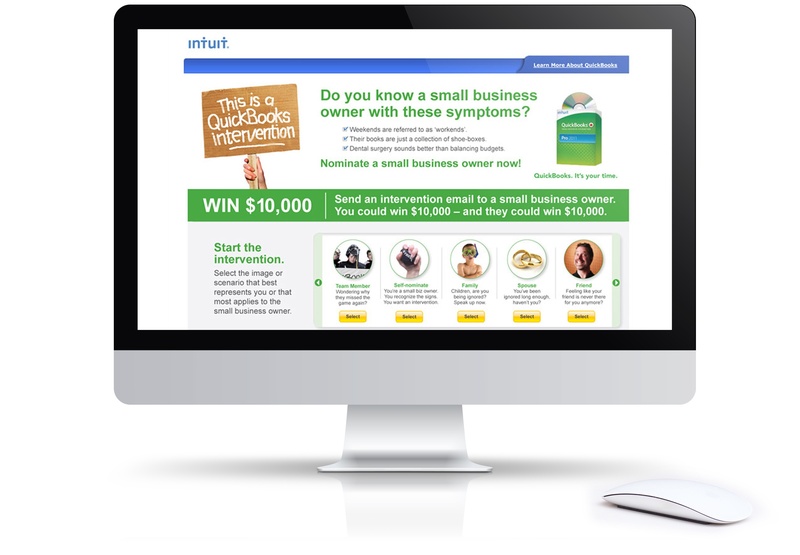 The call-to-action encouraged the reader to send overworked small business owners a QuickBooks intervention email via the campaign’s website. 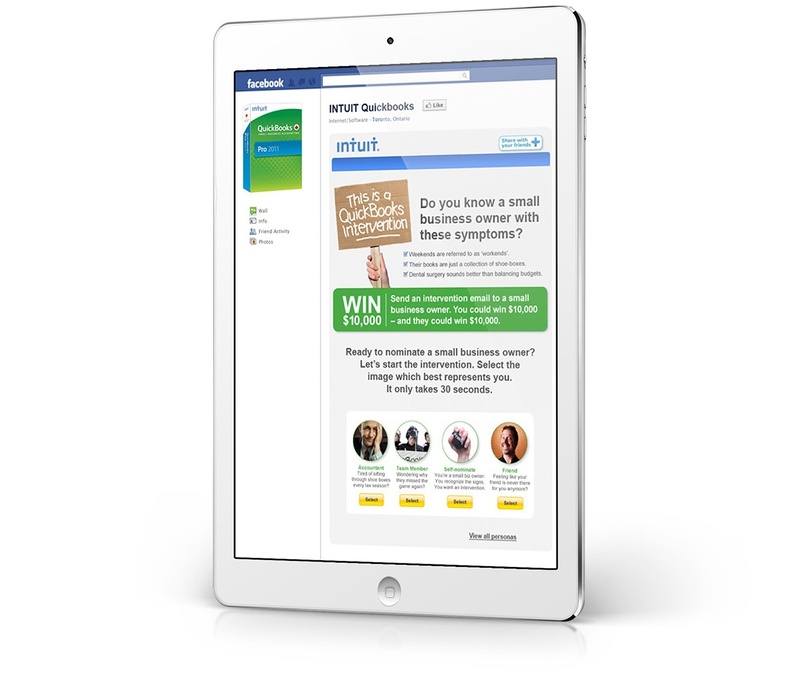 A Facebook business page was created to act as a secondary campaign landing page where influencers and small business owners could nominate someone for a QuickBooks Intervention. It also served as a “forum” where business owners could post questions about the contest and the QuickBooks product.